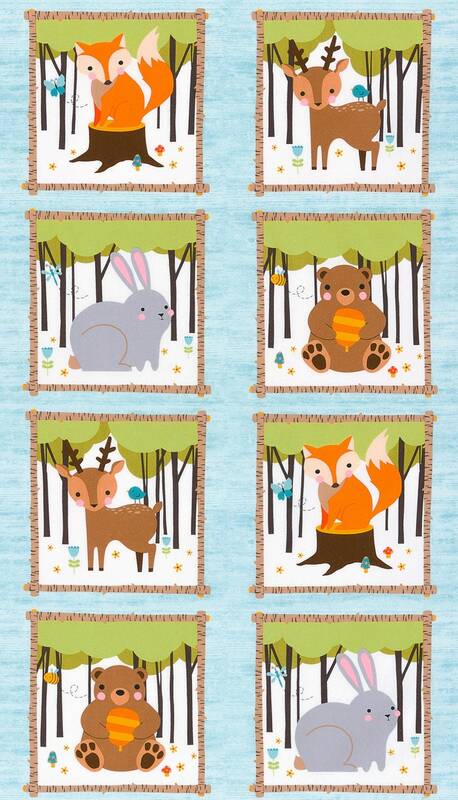 A perfect woodland animals cotton flannel children's fabric to create a sweet quilt for a sweet new baby. A soft and warm 100% cotton flannel featuring such sweet fox, reindeer, bears and rabbits in delicious shades of brown, green, blue, orange, gray and a dash of pink with a light shade of aqua showcasing the blocks. Each block in the panel measure 15 1/4 inches square. Pair this wonderful panel with our coordinating print to complete your project.